A session of massage and concentrated products that echoes LASER and LED light therapy techniques. It offers maximum effectiveness on the firmness of the skin, and the radiance and uniformity of the complexion. Satisfaction test under dermatological control on 21 women who received 3 treatments. A concentrate inspired from the precision of the LASER to visibly act on localized dark spots. [C+ System]: Leading lightening ingredients for a targeted corrective action on dark spots. [Citric Acid]: Exfoliates and fades dark spots. 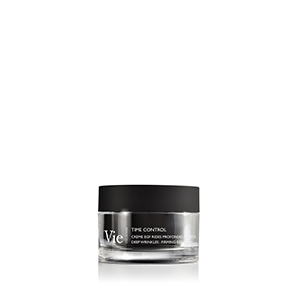 An unctuous cream inspired from the benefits of LED to act on skin quality and firmness. [Mannitol]: Stimulates the production of collagen and elastin by boosting cell metabolism. [PGLA capsule]: Protects Mannitol to ensure optimal distribution and provides a unique source of nutrients for fibroblasts. 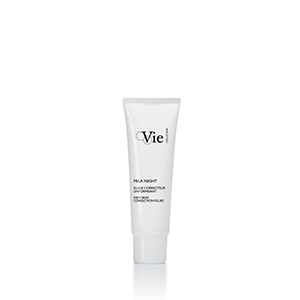 A refreshing gel inspired from the benefits of LED to act on skin firmness, radiance and evenness. [Pro-collagen peptides]: Attach themselves to the fibroblasts to stimulate the production of collagen and densify the tissues. [Cryo molecule]: Refreshing effect for immediate radiance. A refreshing creamy-mask to boost radiance and evenness of the skin. [Vitamin C]: Brightens the complexion and reduces the formation of dark spots. 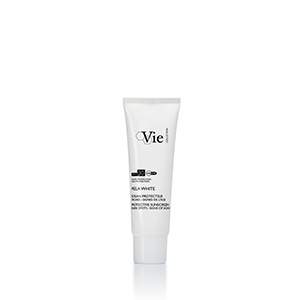 [TR]: Enhances skin radiance and improves the evenness of skin tone. [TRX]: Reduces the size and pigmentation of dark spots.